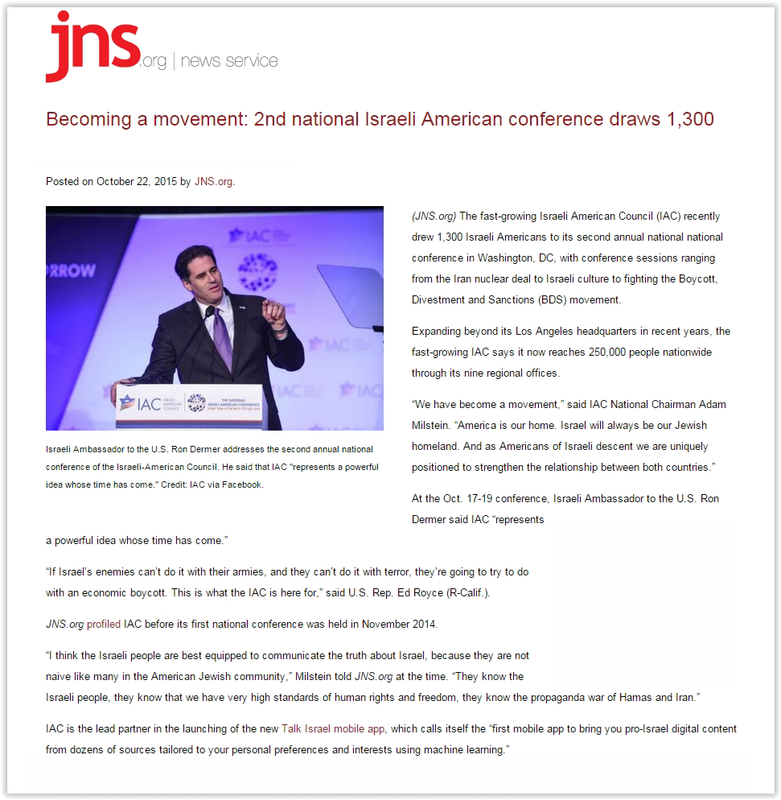 (JNS.org) The fast-growing Israeli American Council (IAC) recently drew 1,300 Israeli Americans to its second annual national national conference in Washington, DC, with conference sessions ranging from the Iran nuclear deal to Israeli culture to fighting the Boycott, Divestment and Sanctions (BDS) movement. Expanding beyond its Los Angeles headquarters in recent years, the fast-growing IAC says it now reaches 250,000 people nationwide through its nine regional offices. “If Israel’s enemies can’t do it with their armies, and they can’t do it with terror, they’re going to try to do with an economic boycott. This is what the IAC is here for,” said U.S. Rep. Ed Royce (R-Calif.). JNS.org profiled IAC before its first national conference was held in November 2014.